Although Bonn’s history as the former seat of government for the Federal Republic of Germany has certainly left its mark on the city, Bonn is also known for many other things: This Rhein region metropolis is home to one of the country’s largest universities, was the birthplace of musical genius Ludwig van Beethoven, and boasts a rich and diverse arts and culture scene. 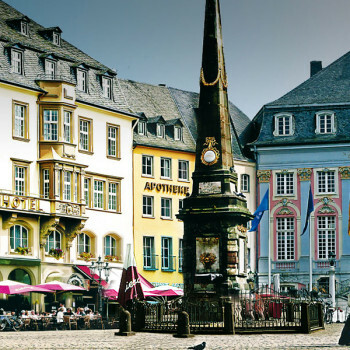 Visitors also enjoy the youthful atmosphere of the city, which is clear from its many guesthouses, and forms a contrast to Bonn’s stately historic buildings. Bonn was the seat of government for around 50 years, and was the capital of the Federal Republic of Germany for about 40 years. Majestic governmental buildings still stand shoulder to shoulder on the banks of the Rhein in this former Parliamental location. These buildings include the Villa Hammerschmidt, Schaumburg Palace, and the Alte Wasserwerk. The Post Tower is perhaps the most striking architectural representation of the city’s development from a political center into an international hub of commerce and business. The towering, modern structure is the highest office building in North Rhein Westphalia at 162.5 meters, and is one of Bonn’s most famous landmarks. The University of Bonn has shaped and still shapes the image of the city to a great extent. Many famous individuals once studied behind its ancient walls, including Friedrich Nietzsche, Heinrich Heine, Karl Marx, Konrad Adenauer, and Pope Benedict XVI. The former Elector’s palace at the edge of downtown forms the heart of the university, which was first founded in 1777. The university is also home to numerous museums and collections, such as the outstanding Egyptian Museum with approximately 3,000 original pieces, the Academic Art Museum, and the Botanical Garden at Poppelsdorfer castle, and the Arithmeum. Museum lovers will have several other reasons to celebrate when they visit Bonn too. The Federal Art Gallery and the House of the History of the Federal Republic of Germany are must sees; Beethoven’s house and the Schumann house are worth a visit for music aficionados. If you visit one of Bonn’s many bars and pubs, there’s one specialty you simply can’t miss out on: “Drachenblut,” or “Dragon’s Blood,” is a unique red wine produced by the region, and is cultivated exclusively in the Petersberg vineyard area. The city continues to build upon its musical heritage by staging extensive and diverse offerings in the performing arts. In the summer, the Opera House delights visitors with a wide variety of operas and ballets, and the Beethoven Festival in late summer, with around 70 concerts at over 20 venues, shapes the cultural landscape of the city. The smaller theaters in the city, in contrast, are a treasure trove for anyone who loves comedy and jazz. A visit to another nearby Rhein region city, such as Cologne or Düsseldorf, makes a great complement to your Bonn visit. 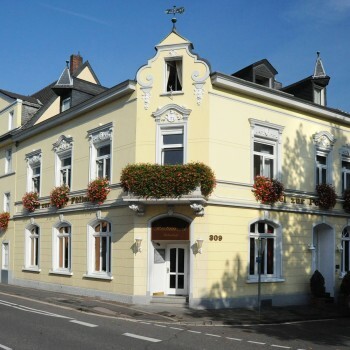 Do you expect a friendly atmosphere and outstanding service from your Bonn hotel? At our PrivateCityHotels. 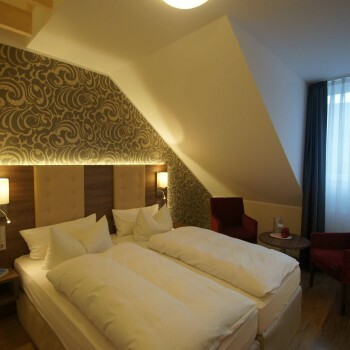 in Bonn, you will meet charming hosts who can give you personal tips for your city tour and provide you with a comfortable place to relax for the duration of your stay. 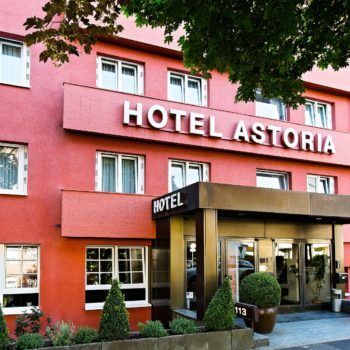 Book your vacation in Bonn in one of our PrivateCityHotels. of your choice, or select one of our hotels in Austria, Germany, or Switzerland.